The main country on which the location focuses is the United Kingdom, although other countries are accepted, as well. All game cohorts are hosted in the library, and there is a solid choice per each category. Over twenty software manufacturers are represented among entertainment suppliers, and there are such names as Blueprint Gaming, Quickspin, and Evolution Gaming. Once a login is obtained, desktop users can visit the browser-based version and start playing without any download required. The same applies to the smartphones and tablets. From two to three days are needed to receive the cash to the specified withdrawal method. 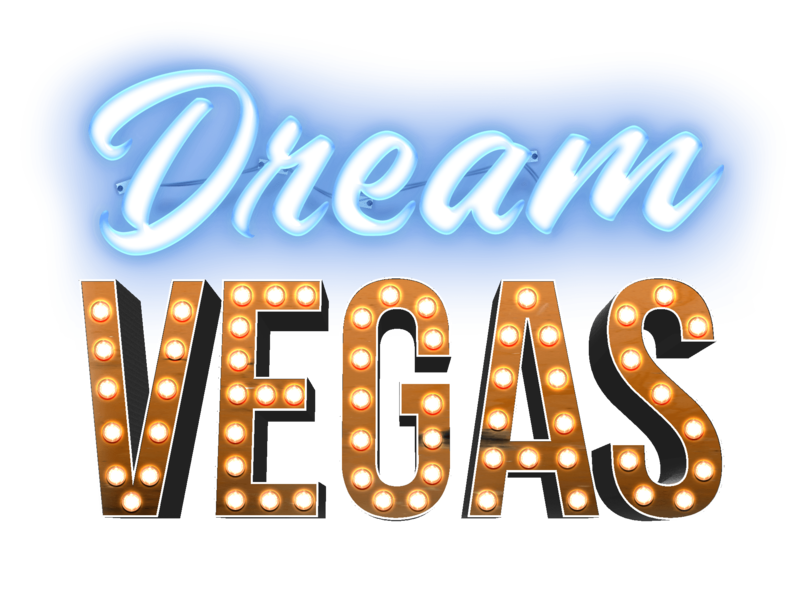 DreamVegas Casino was founded in 2018 by Caddell Limited N.V. – a major player of the European iGaming market, and this experience comes with many benefits. Among them are a well-rehearsed strategy of launching new games, diverse content, and properly trained help desk representatives. Caddell Limited N.V. has been in the business since 1997. It has headquarters in London, and a big network of associated sites. Among them are Cyber Club, Fruity Casa, MainStage Bingo, and Gold Spins, just to name a few. The reviewed operator was licensed by the Malta Gaming Authority and the United Kingdom Gambling Commission. Though the targeted country is the UK, both the licenses and the language adaptations also open the virtual door for players from many other countries. Thus, among adaptations are English, Finnish, French, German, Norwegian, and Swedish language modes. Both games from over twenty software developers, and a poker room are available. All services are instant, with no download required. So registered users simply need to log in from their desktops, smartphones or tablets, and start playing. In order to sign up, our readers can use the link provided and proceed to the homepage. The registration procedure is divided into three simple steps. All deposits start from as little as 20 USD, and among other accepted currencies are Euros, British pounds, Canadian and New Zealand dollars, Swedish krone and Norwegian krona. Ways to add money to the account are represented by e-wallets, cards, and offline bank transfer. Neteller and PayPal can be used. Visa, Maestro, MasterCard and EntroPay are compatible with the cashier. Boku and Canadian Interac are among the alternatives. The time taken to process withdrawal requests takes up to three business days, although many winners have confirmed that it actually takes even less – two working days. The risk of non-payment is non-existent at 0%. The minimum cash out amount is 20 USD. Though this is a new gambling destination, both the reputation of the owner, and responses from first time visitors add to its trustworthiness. The rating at AskGamblers is eight out of ten, and the portal shares the label “Very Good”. Feedback from the readers of the latest Casino Bonuses resource led to the rating of four out of five. Our colleagues point out the diversity of promotions and a good choice of progressive jackpots among the pros, and pay attention to such cons as a small list of cash-out methods and the absence of phone support. All numbers mentioned in this publication refer to the time when we researched for our article, and may eventually change on the original sources. In case of emergencies, questions or problems, help desk representatives can be addressed 24/7 via the contact form. Bla Bla Bla Studios ? Just for the Win ? Entertainment is represented by a big list of software developers, among which are both the tech giants and niche studios. Thus, such names as 1x2 Gaming, 2by2 Gaming, Aristocrat, Bally Interactive, Barcrest, Big Time Gaming, Bla Bla Bla Studios, Blueprint Gaming, ELK, Felt, Foxium, Games Warehouse, Inspired, Just For The Win, Leander games, Lightning Box, Merkur Gaming, MetaGu, Microgaming, Net Entertainment, NYX, Old Skool Studios, PearFiction Studios, Probability Plc, Quickspin, Sigma Gaming, Tom Horm Enterprose, Spieldev, Strom Gaming Technology and Williams Interactive are hosted in the lobby. Live dealer is supplied by Evolution Gaming. All content is located in the Games lobby. From here, clients can explore such categories as new, popular and favorite releases, slots, jackpots, live dealer, scratch and fun, or select titles by a certain game provider. Thus, Evolution Gaming offers live Dream Catcher, European and Classic Roulette variations, and blackjack. Among jackpots are many iconic creations, including Mega Fortune by Net Entertainment, Super Spinner by Blueprint Gaming, Major Millions by Microgaming, and Universal Cup by Leander Games. Among table games are plenty of blackjack, roulette, table and video poker types, as well as baccarat. The choice of slots is also decent. Thus, there are the epic Napoleon Rise of an Empire by Blueprint Gaming, adventurous Lost Relics by Net Entertainment, fun and enjoyable Happy Birthday! by ELK Studios, mythology-based Kronos Unleashed by WMS, hippy-inspired Spinning 60’s by Inspired gaming, and many more.